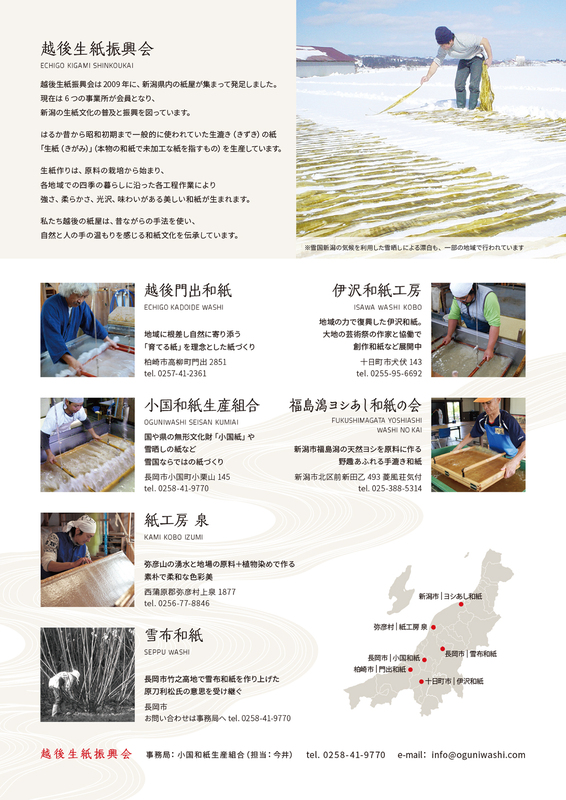 We would like you to find out and feel the old and new Kigami’s world. 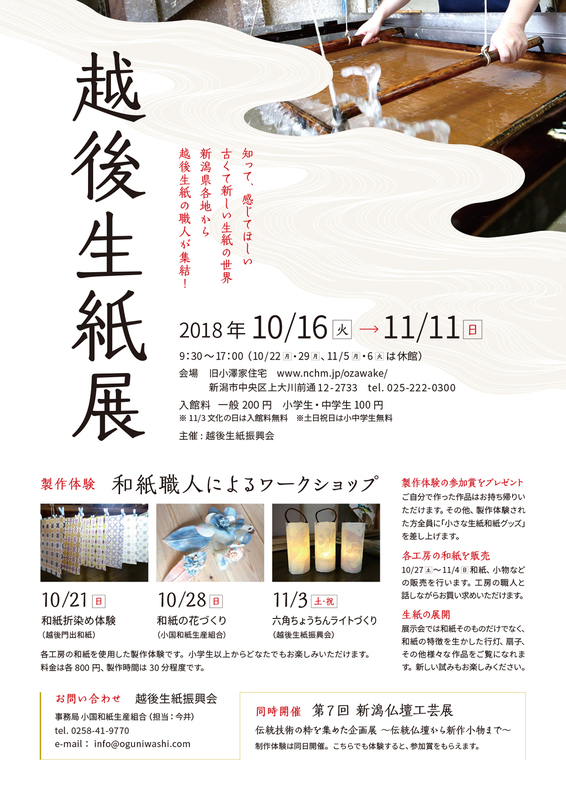 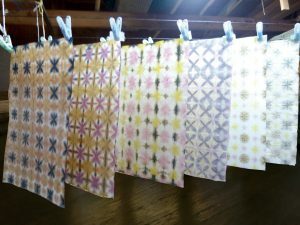 Echigo (Niigata) Kigami Paper makers are gathered together in Kyu-Ozawake for the exhibition. There are new washi products such as Andon (Lanterns), fans and many others at the exhibition. 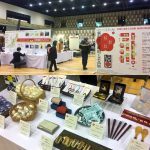 Something you must not miss! 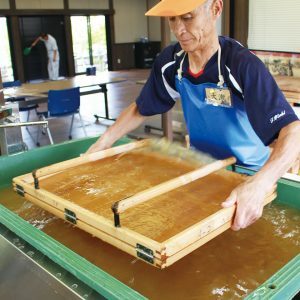 Workshops are run by several washi specialists. 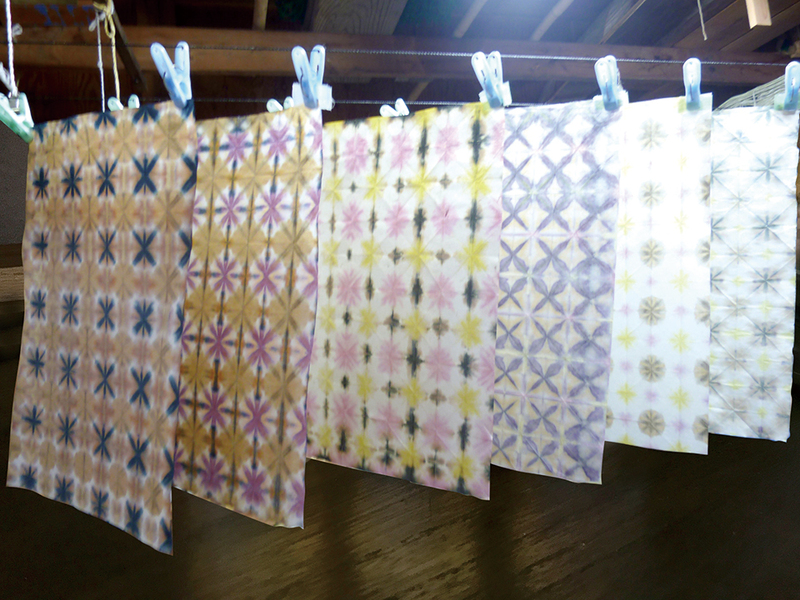 You can experience different feel for each paper in the workshop. 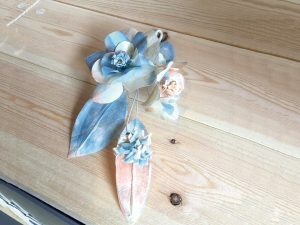 Anyone over 6 years old can join the workshops. It costs 800 yen and take about 30 min. 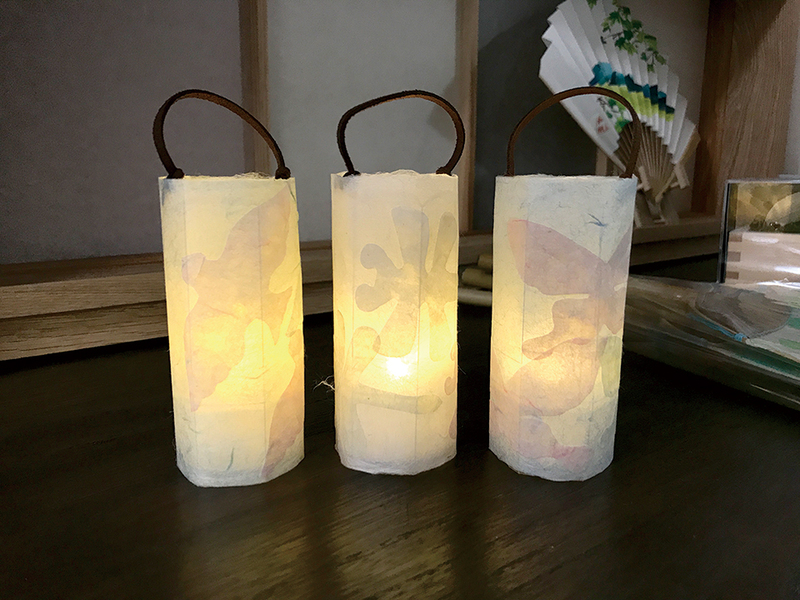 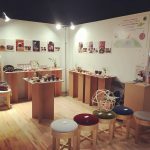 In the workshop: You can take home what you’ve made and also participants are given a small washi gift. 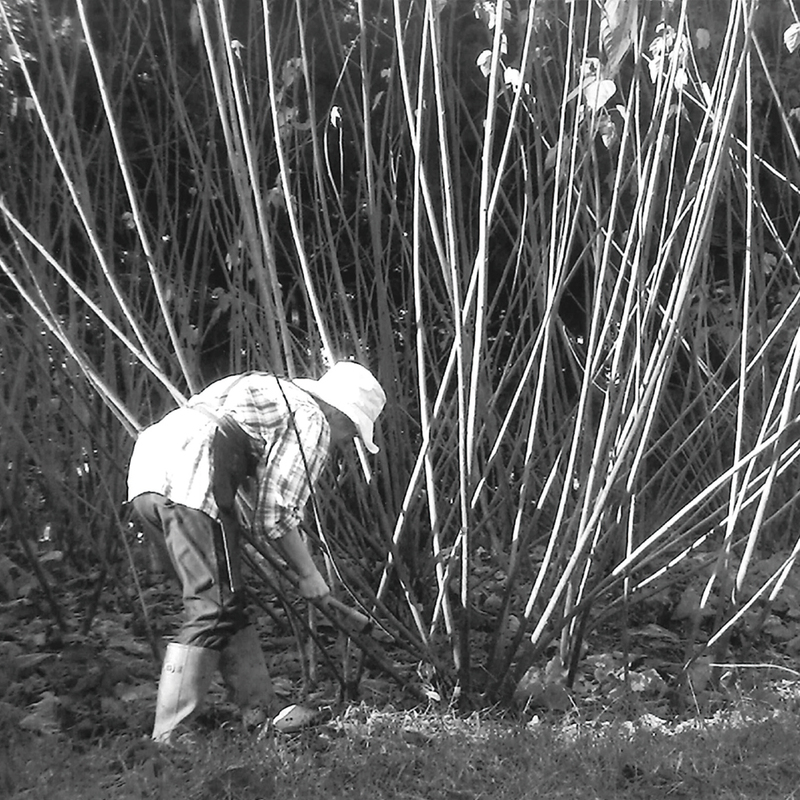 Between 10/27 and 11/4. 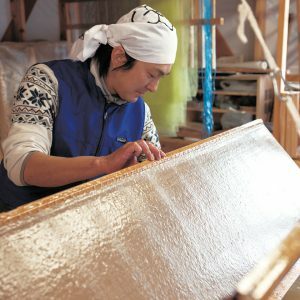 Craftsmen are available for any questions or advices. Echigo Kigami Shinkokai (Niigata Raw Paper association) was established in 2009. 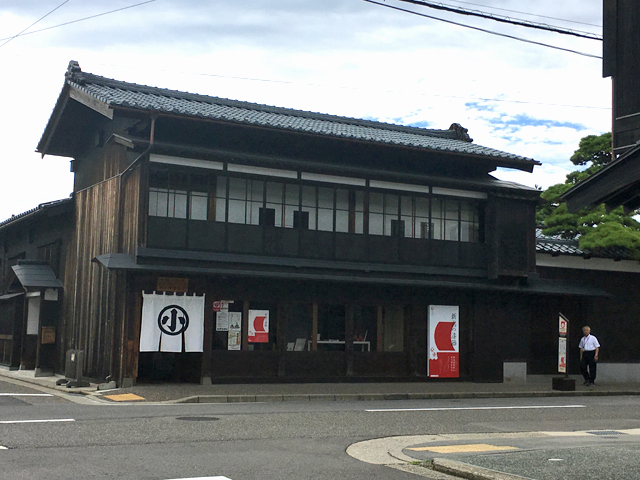 It is supported by six establishments as the members and they have been making great efforts for the development and the promotion of Niigata Kigami Culture. ‘Kigami’ is a traditionally produced paper, which was popular until the early 1900s. 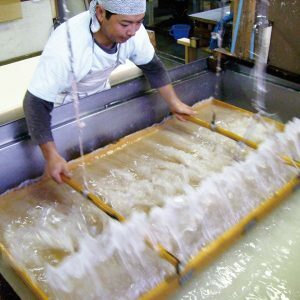 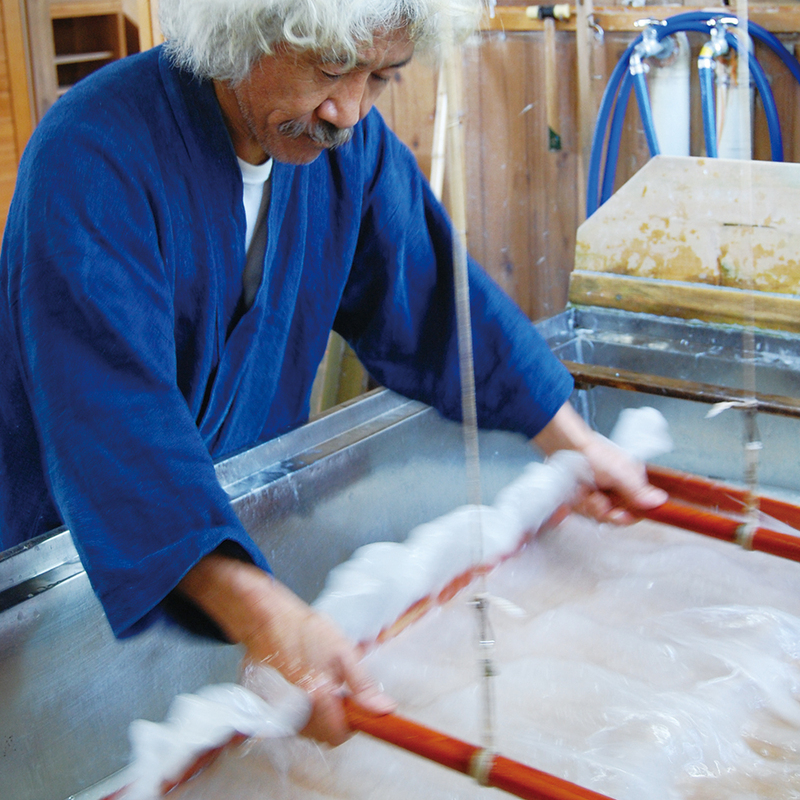 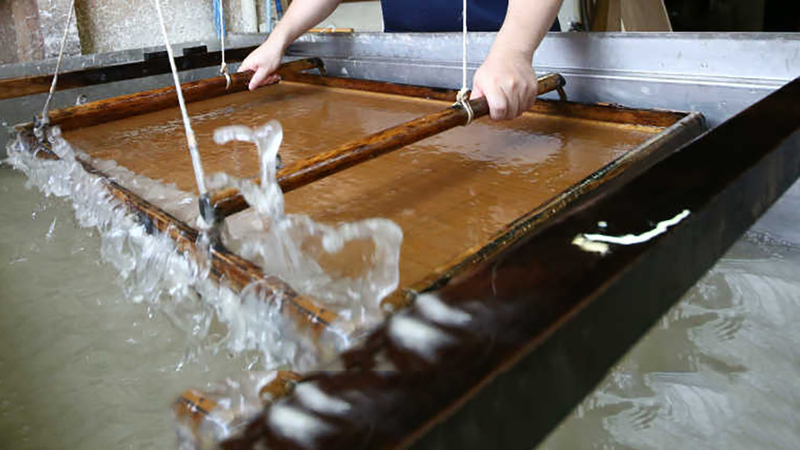 Papers are produced using the ‘Kisuki’ method in a traditional manner without any artificial materials. 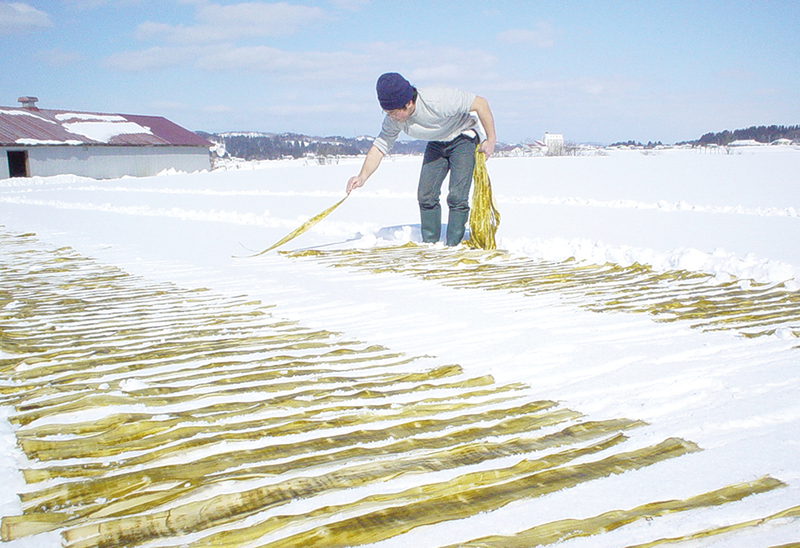 Paper craftsmen harvest the plant called ‘Kozo’ for raw materials in summer. The entire process of Echigo Kigami making is dictated by seasonality, (you won’t see Echigo Kigami until the following spring). 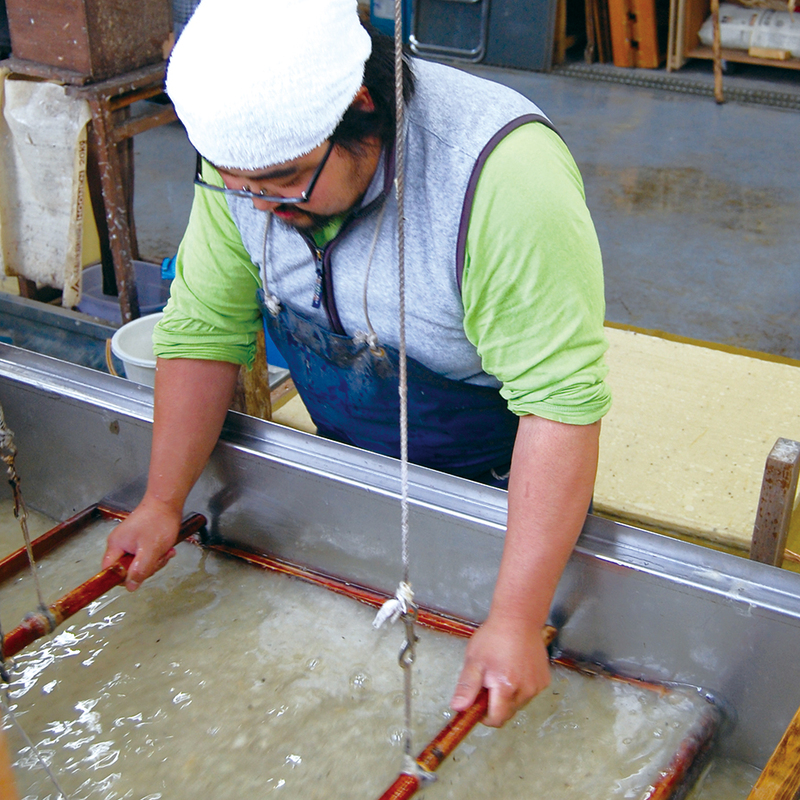 The craftsmen take care of each step tenderly so that strong but soft and unique silky papers are produced in the end. As the makers engage the traditional method, you may feel the warmth of maker’s heart. Young crafts people continue to use the same method for their modern creations.